(1) What was your best genealogy "research find" in May 2018? It could be a record, it could be a photograph, etc. Whatever you judge to be your "best." (2) Tell us about it in a blog post of your own, in a comment to this blog post, or in a Facebook or Google+ post. To explain why this is a great research find, I have to provide a little bit of background information. 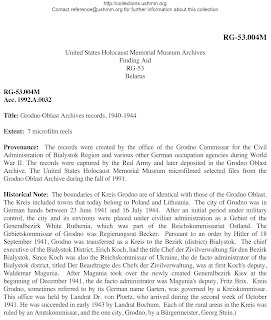 Three of my Jewish family lines go back to an area that was formerly called Grodno gubernia in the Russian Empire, which is now the Hrodna region of Belarus. 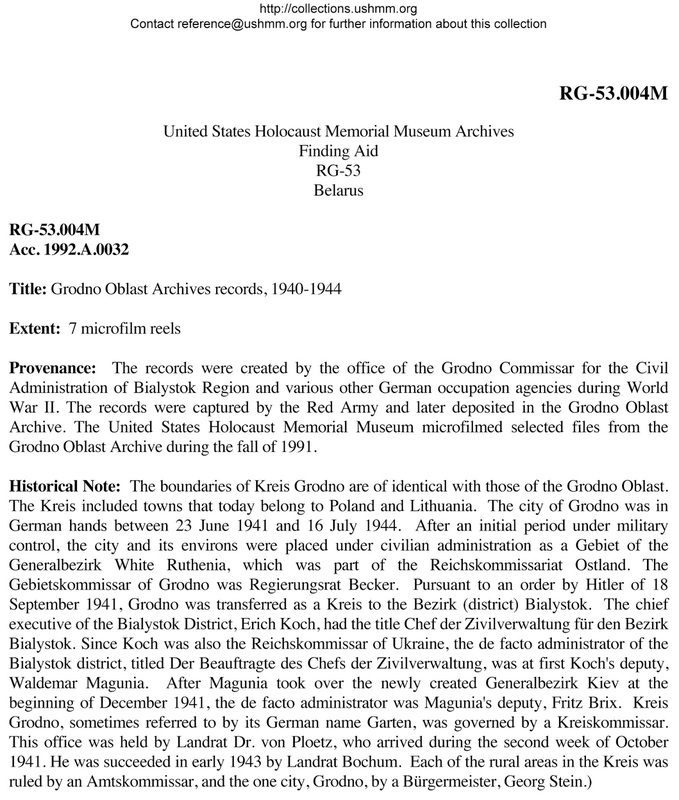 During World War II, this was an area where the Nazis and their collaborators were incredibly thorough in destroying almost all archival records relating to the Jews of the area. There's practically nothing left. It's entirely possible that the earliest record I may find relating to my great-great-grandfather, who was born about 1858, is a voter list from the early 1900's. Given that situation, I latch on to any records from this area with glee, just on the off-chance that I might find something about a family member. While I was on a recent trip to the Washignton, D.C. area to give talks to two genealogical societies, I visited the library at the U.S. Holocaust Memorial Museum and asked the librarian (hi, Megan!) about records from Grodno. She told me about a collection of records from 1940–1944 that had been microfilmed by the museum and which were available to look at digitally there in the library. I could even download the files if I wanted to. I was practically jumping with joy! Of course, I didn't have a flash drive with me that day, but I came back a couple of days later and downloaded as many as could fit on my drive (I ran out of room), along with the detailed finding aid for the collection. 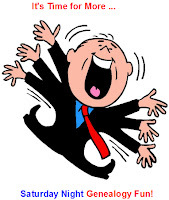 And a friend has volunteered to go to the library and download more of the digitized files for me. So even though I don't know yet what I might find, I'm thrilled to even have these kinds of records available to search. I'm hoping that I find something about some, even one, of the family members who, as far as we know, perished in this area during the Holocaust. And just that possibility makes this a great research find. I hope you find some good treasures. Don't you keep a thumb drive in your purse or pocket at all times? That is something I have yet to be in the habit of, even though I was chastised about it by a cousin I met in 2007. I really need to get with the 21st century, don't I?